Thermal Paste - HTF Electronics, We Help Create Your Imagination! 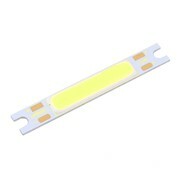 COB LED (chip on board) 3 Watt Round Cool White, Extremely Bright High Power LED's. 12 Volt 350mA MAX!